Every burgeoning young scientist ought to know their names and something of their achievements, as these women have laid fine foundation for the advancements that came later. So let's get started. Hypatia of Alexandria (AD 350 and 370-415) Greek scholar from Alexandria, Egypt, and considered the first notable woman in mathematics. Around 400 AD, she became head of the Platonist school of Alexandria. During her life, she discouraged mysticism and encouraged logical and mathematical studies. Eventually, she was killed by a Coptic Christian mob who blamed her for religious turmoil. She has been hailed as a "valiant defender of science against religion". Emilie Du Chatelet (1706-1749) French Physicist and Mathematician who translated Newton's Principia, into French, which was published after her death. Du Chatelet disguised herself as a man in order to study science, and was supported by her father to seek an education because he thought she was too ugly to receive a marriage proposal, although she did marry at 19 years of age. She later became the mistress of Voltaire, who wrote a "Preface historique" to Principia. In a letter to his friend King Frederick II of Prussia, Voltaire declared that du Châtelet was "a great man whose only fault was being a woman." Caroline Herschel (1750-1848) Famous astronomer, who acted as an assistant to her brother, William Herschel. She discovered eight comets between 1786 and 1797, and submitted an Index to Flamsteed's Observations of the Fixed Stars (including over five hundred omitted stars) to the Royal Society in 1798, becoming the first woman to present a paper there. In 1835, she and Mary Fairfax Somerville were the first two women to be elected to the Royal Astronomical Society. In 1935 C. Herschel crater in the Sinus Iridium on the Moon was named in her honor. In 1846 at the age of 96, she was awarded the Gold Medal for Science by the King of Prussia. Marie-Anne Pierrette Paulze aka Madame Lavoisier (1758-1836) Considered "the mother of modern chemistry," she is most commonly known as the wife of Antoine Lavoisier, but many do not know of her own accomplishments in the field of chemistry. Marie-Anne accompanied Lavoisier in his lab, making entries into his lab notebooks and sketching diagrams of his experimental designs. She was able to accurately draw experimental apparatuses, which helped Lavoisier’s contemporaries understand his work. A master in English, Latin, and French languages, she translated various works into French for her husband to read; he relied on her to keep abreast of current developments in chemistry. Mary Somerville (1780-1872) Scottish science writer and polymath, at a time when women's participation in science was discouraged. She studied mathematics and astronomy, and was the second woman scientist to receive recognition in the United Kingdom after Caroline Herschel. She carried out experiments in magnetism, presenting a paper entitled 'The Magnetic Properties of the Violet Rays of the Solar Spectrum' to the Royal Society in 1826, only the second woman to do so. She also authored several mathematical, astronomical, physical and geographical texts, and was a strong advocate for women's education. Somerville College, Oxford, was named after her. Augusta Ada King, Countess of Lovelace (1815-1852) Hailed as the "First Programmer." Born Augusta Ada Byron, King was the only legitimate child of Lord Byron. She is widely known for writing a description of Charles Babbage's early mechanical general-purpose computer, the analytical engine. She wrote programs, manipulating symbols according to rules, for the machine that Babbage had not yet built. While some, like Babbage, focused only on the number-crunching capabilities of computers, King foresaw their potential to do more. The computer language Ada, created by the U.S. Defense Department, was named after Lovelace. Maria Mitchell (1818-1889) - First professional woman astronomer in US, and first woman to gain membership in the American Academy of Arts and Sciences in 1848. Mitchell is noted for her discovery that sunspots are whirling vertical cavities and not, as previously thought, clouds. Mitchell was also named Director of Vassar College Observatory. After teaching there for some time, she learned that many younger male professors had larger salaries, despite her reputation and experience. When she insisted on a salary increase, she got it. Marie Curie (1867-1934) Chemist and physicist, the only person to receive Nobel Prizes in two different sciences: Physics (1903) and Chemistry (1911). She was the first woman professor at the University of Paris and is credited with the creation of the theory of radioactivity and the discovery of polonium and radium. Although Curie was a French citizen, she named the first new chemical element that she discovered "polonium" for her mother country, Poland. Some of her achievements include techniques for isolating radioactive isotopes. It was also under her personal direction that the world's first studies were conducted into the treatment of neoplasms ("cancers"), using radioactive isotopes. "Nothing in life is to be feared, it is only to be understood. Now is the time to understand more, so that we may fear less. " 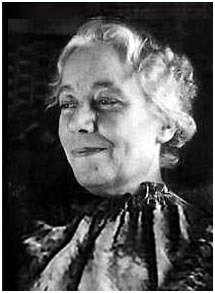 Karen Horney (1885-1952) German psychodynamic psychologist (psychoanalyst) of Norwegian and Dutch descent. Her theories questioned some traditional Freudian views, particularly his theory of sexuality, as well as the instinct orientation of psychoanalysis and its genetic psychology. As such, she is often classified as Neo-Freudian. She also founded a journal, named the American Journal of Psychoanalysis. She taught at the New York Medical College and continued practicing as a psychiatrist until her death in 1952. "Like all sciences and all valuations, the psychology of women has hitherto been considered only from the point of view of men." "Concern should drive us into action, not into a depression." 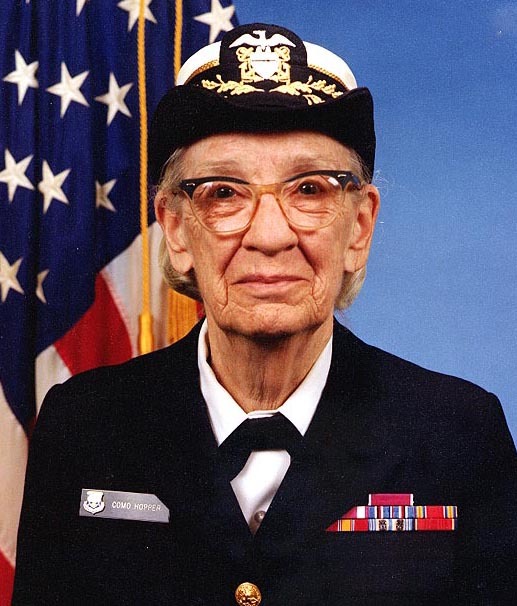 Grace Murray Hopper (1906-1992) US Mathematician and Computer Technologist who joined the navy during World War II, where she became the first female Rear Admiral. She was one of the first programmers of the Harvard Mark I calculator, and she developed the first compiler for a computer programming language. She is sometimes referred to as "Amazing Grace". In 1996, the US USS Hopper was launched and nicknamed Amazing Grace, one of the few U.S. military vessels named after a woman. Rita Levi-Montalcini (1909- ) Born in Italy to a Sephardic Jewish family who, together with colleague Stanley Cohen, received the 1986 Nobel Prize in Physiology or Medicine for their discovery of Nerve growth factor (NGF). She went to work as Giuseppi Levi's assistant, but her academic career was cut short by Benito Mussolini's 1938 Manifesto Della Razza and the subsequent introduction of laws barring Jews from academic and professional careers. During World War II, she conducted experiments from a home laboratory, studying the growth of nerve fibers in chicken embryos which laid the groundwork for much of her later research. Her first genetics laboratory was in her bedroom at her home. In 1987, she received the National Medal of Science, the highest honor in the scientific world of America. Today she is the oldest living Nobel laureate. She is a senator for life in the Italian Senate. "I returned to Turin on the verge of the invasion of Belgium by the German army, Spring 1940, to join my family. The two alternatives left then to us were either to emigrate to the United States, or to pursue some activity that needed neither support nor connection with the outside Aryan world where we lived. My family chose this second alternative. I then decided to build a small research unit at home and installed it in my bedroom." "As for the presence of large NGF [nerve growth factor] sources in snake venom and male genital organs, they may be conceived as instances of bizarre evolutionary gene expression." Chien Shiung-Wu (1912-1997) Chinese-born American physicist who radically changed scientific views on the behavior of nuclear particles. She worked on the Manhattan Project (to enrich the uranium fuel). Her nicknames included the “First Lady of Physics” and “Madame Curie of China." In 1956, she assisted Tsung-Dao Lee in his parity laws development (with Chen Ning Yang) by providing a test method for beta decay that worked successfully. While some consider her contribution instrumental in the creation of the laws, she did not share their Nobel Prize, possibly due to sexism by the selection committee. "I sincerely doubt that any open-minded person really believes in the faulty notion that women have no intellectual capacity for science and technology. Nor do I believe that social and economic factors are the actual obstacles that prevent women's participation in the scientific and technical field. The main stumbling blocking the way of any progress is and always has been unimpeachable tradition." - Speaking at a 1964 conference on women and science. 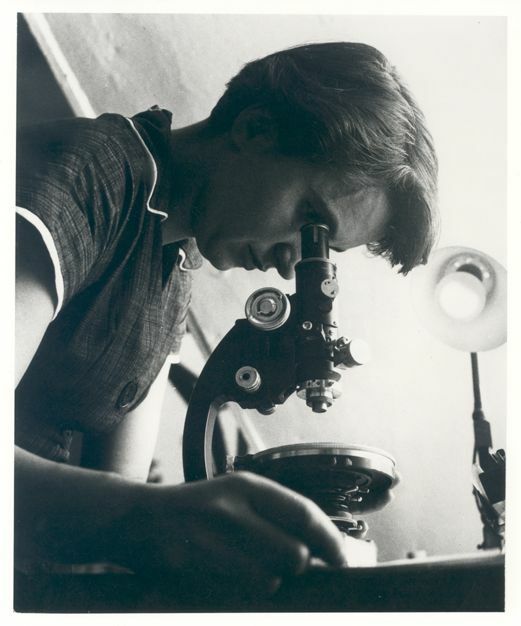 Rosalind Franklin: (1920-1958) English biophysicist and X-ray crystallographer who contributed to understanding the compositions of DNA and viruses. Her most noteworthy work is that on the X-ray diffraction images of DNA which were an important influence on Crick and Watson's 1953 hypothesis regarding the structure of DNA. Franklin was not eligible for nomination to the Nobel Prize subsequently awarded to Crick and Watson in 1962 as she died at the age of 37 of complications arising from cancer of the ovary. However, there has been much dispute amongst the scientific community as to her conribution to the 1953 award winning hypothesis; Crick and Watson's employed her research without her knowledge or permission. In a biography written by Brenda Maddox, Franklin is referred to as "The Dark Lady of DNA." "In my view, all that is necessary for faith is the belief that by doing our best we shall succeed in our aims: the improvement of mankind." 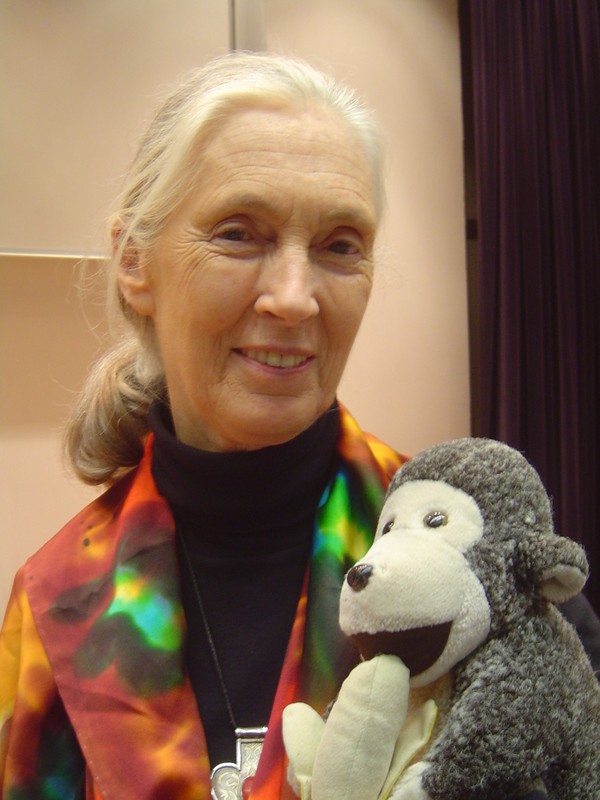 Jane Goodall (1934- ) English UN Messenger of Peace and anthropologist. Goodall was instrumental in the field of primatology and is known for her discovery of tool-making among chimpanzees. Prior to her discovery, tool-making was considered a defining difference between humans and other animals. Today, Goodall travels nearly 300 days a year to advocate on behalf of chimpanzees and the environment. She is also a board member for the world's largest chimpanzee sanctuary outside of Africa, Save the Chimps in Fort Pierce, Florida. "The greatest danger to our lives is apathy." Shirley Ann Jackson (1946-) US physicist. She received her Ph.D. in physics from the Massachusetts Institute of Technology (MIT) in 1973, only the second African-American woman to earn a Ph.D. in physics in the US. Jackson is a trustee at MIT and a former chair of the US Nuclear Regulatory Commission. In 1998, she was inducted into National Women's Hall of Fame for "her significant contributions as a distinguished scientist and advocate for education, science, and public policy". She was also was named one of the 50 Most Important Women in Science by Discover magazine. Mae Carol Jemison (1956- ) American physician and NASA astronaut who was the first African American woman to travel in space when she went into orbit aboard the Space Shuttle Endeavor in September 1992. She entered Stanford University at 16 years of age. "When I grew up in the 1960s the only American astronauts were men. Looking out the window of that space shuttle, I thought if that little girl growing up in Chicago could see her older self now, she would have a huge grin on her face." Many female scientists, for the sake of brevity, have been omitted from this list. You are welcome and encouraged to post any female scientists in historical or contemporary times that are missing.